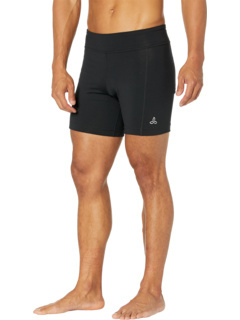 Wear a short as committed to your practice as you are thanks to the prAna® JD Short. Developed in part by yogi John Friend, the JD is designed for intense practice. Stretch fabric wicks away moisture and dries quickly to keep you cool and comfortable. Designed specifically for even the most intense yoga sessions. 89% recycled polyester, 11% spandex.